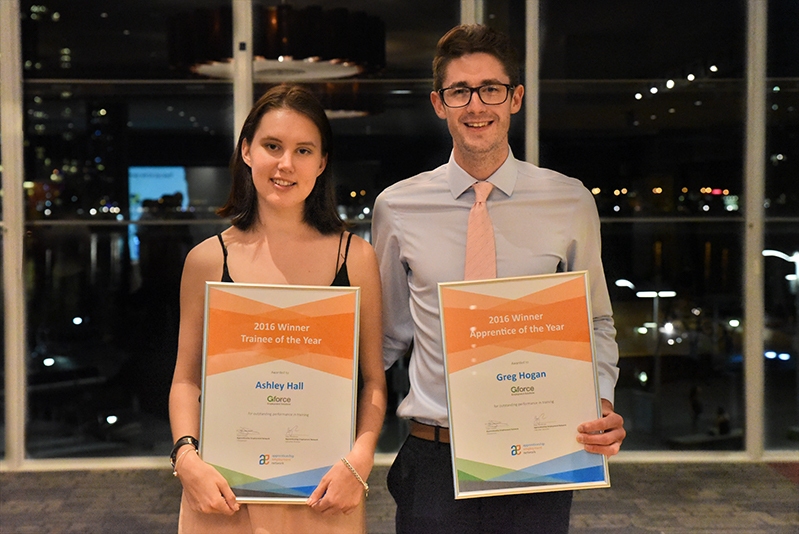 Apprenticeship Employment Network held their 2016 Annual Awards Dinner on Thursday 17 November at Waterfront Venues, Docklands where apprentices, trainees, GTO’s and staff throughout Victoria were acknowledged for their outstanding efforts and contribution to apprenticeships and traineeships in Australia. Apprenticeship Employment Network (AEN) is Victoria’s largest apprentice and trainee employer network with their members securing employment for 150,000 apprentices and trainees over the last 30 years. Their awards ceremony is held annually to acknowledge the outstanding achievements of members, staff, apprentices and trainees within the Victorian GTO industry. The awards categories covered Apprentice of the Year, Trainee of the Year, Outstanding OHS Award, GTO Service Excellence Award and Industry Service Awards (10, 15, 20, 25 and 30 years of service).